Lauren Nicholas love woking with TM Italia to continuously create beautiful installations. With few limitations and boundary pushing materials and designs, the possibilities are limitless! 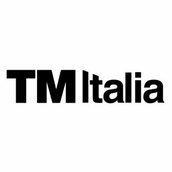 We are proud that one of our stunning TM Italia installations has been recently shortlisted for an International Design Award in Oct. 2018.